Eleven genetics-focused professional organizations are calling for researchers to use caution in applying CRISPR toward human germline genome editing—but stopped short of calling for a ban—just one day after publication of a landmark study detailing the first-in-the-U.S. use of the technology to repair a germline mutation in human embryos created through in vitro fertilization. “Currently, there is no reason to prohibit in vitro germline genome editing on human embryos and gametes, with appropriate oversight and consent from donors, to facilitate research on the possible future clinical applications of gene editing,” the organizations declared. The policy statement also declared it “inappropriate” to use germline gene editing that would result in human pregnancy. However, the organizations urged against efforts to prohibit public funding of research into human germline genome editing. 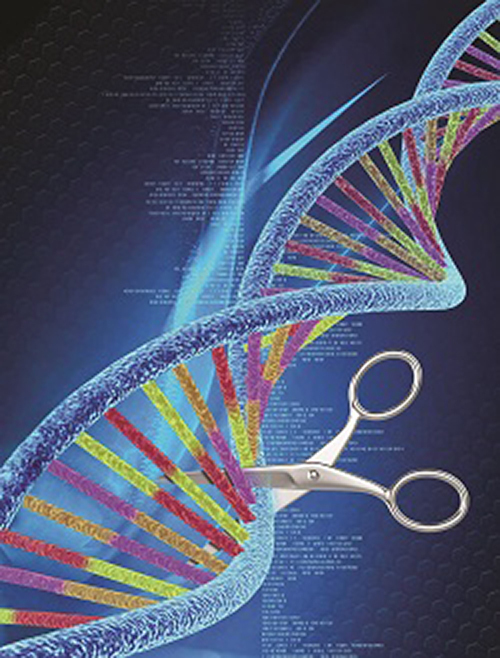 The statement, “Human Germline Genome Editing,” was published yesterday in The American Journal of Human Genetics. The journal is owned and controlled by the American Society of Human Genetics (ASHG), one of the 11 organizations that crafted the policy statement. “While germline genome editing could theoretically be used to prevent a child being born with a genetic disease, its potential use also raises a multitude of scientific, ethical, and policy questions. These questions cannot all be answered by scientists alone, but also need to be debated by society,” Derek T. Scholes, Ph.D., ASHG’s director of science policy, said in a separate statement issued by his organization. That debate was rekindled this week, following publication in Nature on Wednesday of “Correction of a pathogenic gene mutation in human embryos” by researchers from Oregon Health and Science University (OHSU), the Salk Institute for Biological Studies, and South Korea's Institute for Basic Science. The team of 31 researchers—led by Shoukhrat Mitalipov, Ph.D., of the Center for Embryonic Cell and Gene Therapy at OHSU—carried out the first American study showing that modifying single-gene defects using the gene-editing technology CRISPR (clustered regularly interspaced short palindromic repeats) has the potential to be safe and accurate enough to use in human embryos. Dr. Knoepfler noted the researchers’ expressed hope to use germline genome editing for human reproduction with specific clinical goals. PGD and PGS refer to, respectively, preimplantation genetic diagnosis and preimplantation genetic screening. Dr. Knoepfler also said the odds were “better than 50-50” that the Mitalipov-led research will spark a backlash and possibly proposed restrictions in the U.S. by conservatives and others who have faulted embryonic research on ethical grounds. Exposing individuals to potentially harmful health consequences, since the magnitude of the potential risks of off-target or unintended consequences are yet to be determined. Diverting public funds from the research, which the groups concluded could degrade or omit mechanisms that ensure that research is subject to ethical oversight, such as research ethics boards, and remains public, ensuring oversight and transparency. Last October, You Lu, M.D., and colleagues at Sichuan University’s West China Hospital in Chengdu launched the first known clinical trial using CRISPR to treat patients—specifically, knocking out a gene encoding the programmed death protein 1 (PD-1) in patients with non-small-cell lung cancer. Groups joining ASHG in issuing the policy statement included the Association of Genetic Nurses and Counsellors, the Canadian Association of Genetic Counsellors, the International Genetic Epidemiology Society, and the National Society of Genetic Counselors. Additional groups authoring the policy statement were the American Society for Reproductive Medicine, the Asia Pacific Society of Human Genetics, the British Society for Genetic Medicine, the Human Genetics Society of Australasia, the Professional Society of Genetic Counselors in Asia, and the Southern African Society for Human Genetics.